For anyone who’s ever wished they could peer into the brilliant mind of Brian Eno – this is your chance. 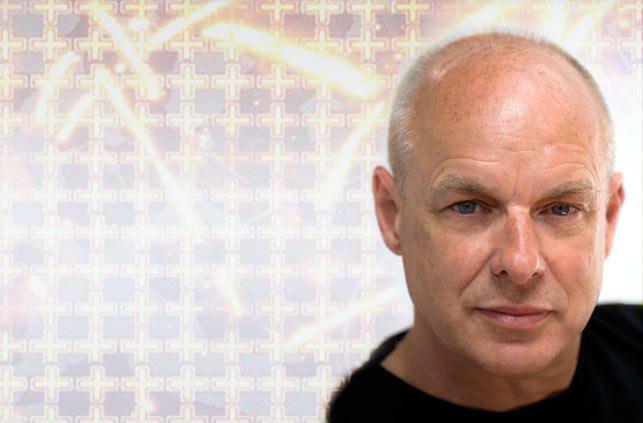 Armed with an overhead projector (an infinitely more sophisticated device than PowerPoint), Eno will lay bare his thoughts on generative art, haircuts, music history, screwdrivers, and the vast complexities behind them all. Don’t miss this unique opportunity to share an evening with one of the most influential thinkers of the modern age. Add $10 to your Brian Eno: An Illustrated Talk ticket purchase to receive admission to Eno's exhibition of 77 Million Paintings at Glenbow Museum and a free tour of Cantos Music Foundation! Ticket is valid for museum admission until January 31, 2011. Extended Glenbow Museum hours on January 6 from 5:00-8:00 pm let you see the exhibition before the show! Click here to book your tickets now, or call the EPCOR CENTRE Box Office at 403.294.9494.